Moji Adeyeye, the Director General, National Agency for Food and Drug Administration and Control (NAFDAC), says the agency has seized not fewer than 35 containers of tramadol at various ports in the country. Ms Adeyeye disclosed this while speaking with the News Agency of Nigeria (NAN) in Abuja on Sunday. 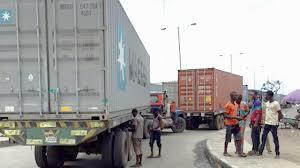 “We are seriously working with the custom on this and each time they seize any container, they usually invite us to come and see the containers with tramadol. She, however, decried the delay by the custom in handing over the rest of the containers to her agency. According to Ms Adeyeye, who is also a professor of pharmacology, the drug destroys children’s brain thereby threatening the future generation of the nation. The director general said the agency was more determined and committed than ever to stem the menace of illicit and fake drugs in the country.